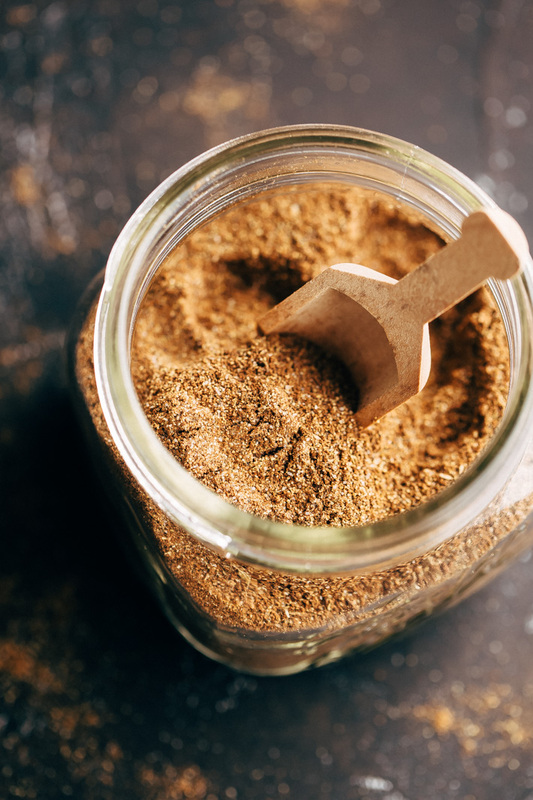 Make a big batch of homemade shawarma seasoning and use it to season all sorts of stuff like chicken, beef, and roasted chickpeas! It tastes just like the store bought shawarma seasoning but way better! 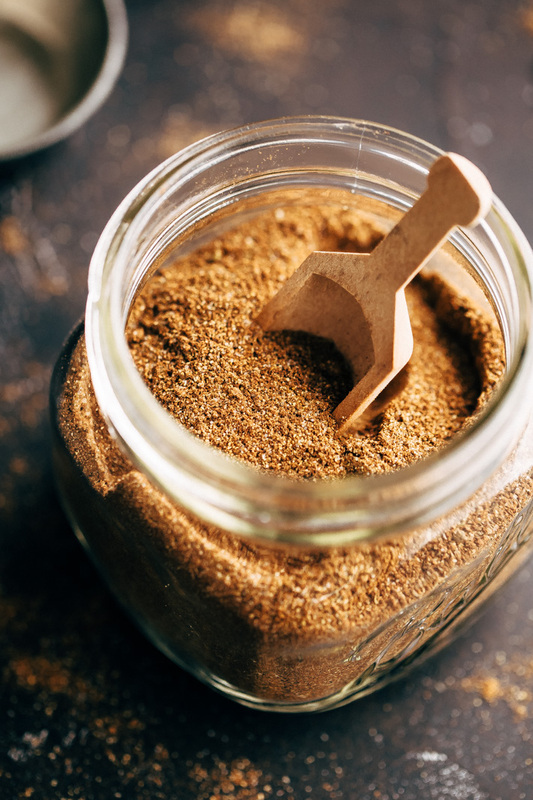 Shawarma seasoning that will make your heart sing! This one has been a long time coming. Not only are the two of us big shawarma fans, we’re also picky shawarma eaters. That means just any old thing won’t do. It has to be the best. So it took some tinkering on my part when I set out to make the best homemade shawarma seasoning. And friends, it’s here! This is seriously amazing stuff. What I love most about homemade seasonings is that you’re in the drivers seat, you have full control. And that control comes into play most when it comes to the amount of sodium in your seasonings. Stating the obvious here but store-bought seasonings are loaded with salt and/or sugar. But not our homemade version. I’ve modeled this shawarma seasoning off of one that we absolutely love and I have to say, it’s pretty close to perfect! 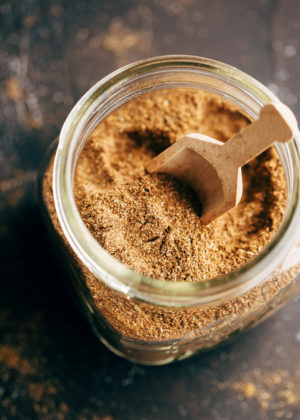 Homemade shawarma seasoning in large batches isn’t difficult to make. You just grab fresh spices, combine them in a bowl and that’s it. With this recipe you’ll make enough seasoning for 21-23 lbs of meat. So it’ll certainly last you a while if you make the entire batch. Which, we go through easily in about 6 months. Have I mentioned we love shawrmas, because now would probably be a good time to do so. Sometimes i’ll make a batch and split it with my mom and sis. I’ve mentioned this before but the little sister lives away from home and isn’t big on cooking. She’s always looking for easy things to meal prep so i’ll pass along homemade seasonings like this so she can meal prep stuff for the week. This shawarma seasoning is perfect to marinate chicken with. Just grill it up outdoors or on a grill pan and serve it with a big shirazi or greek salad and voila! Lunch in a flash. I know it may seem like a lot of individual spices but if you’re passionate about your shawarmas, this is definitely a must try! One last thing – when you want to prep the shawarma meat, combine 1 tablespoon of this seasoning with 2 tablespoons of olive oil and 1 tablespoon of white vinegar and a little salt and let the chicken marinade for 10-20 minutes. For beef shawarmas like this bowl , let marinate for 1 hour or up to 24 hours. The flavors just really absorb right into the steak and it’s melt-in-your-mouth good. To marinate the shawarma meat: you’ll need 2 tablespoons olive oil + 1 tablespoon white vinegar + 1/2 teaspoon salt. Allow chicken to marinate for 10-20 minutes and 1 hour to 24 hours for beef. 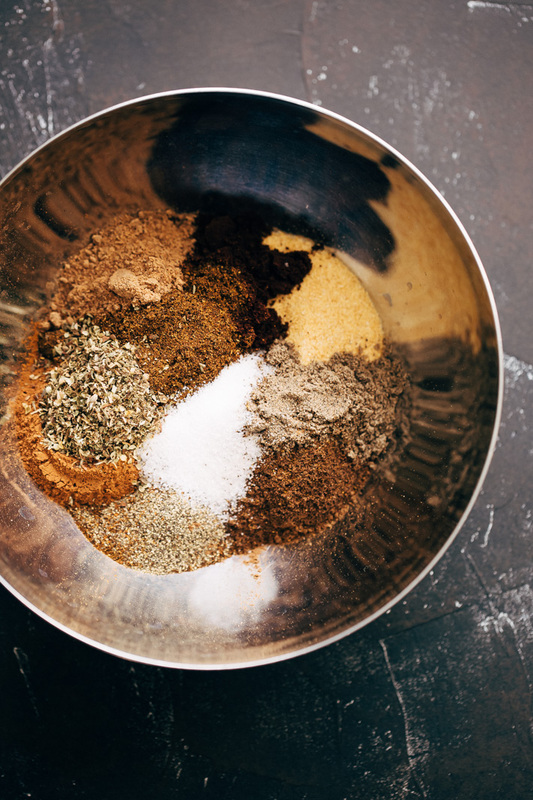 Here’s a recipe for my beef shawarma bowls  we love to make with this seasoning. And here’s one for chicken shawarma wraps . This makes enough to season about 21 pounds of meat. Use about 1 tablespoon of seasoning per pound of chicken or beef. The batch can even be made larger by simply doubling or tripling the recipe. You can also halve the recipe for a smaller batch.